In 1966, a group of musicians tried something a little different. Inspired by the British Invasion and the incipient inclusion of string instruments in rock n’ roll songs, The Left Banke, under the auspices of writer/keyboardist Michael Brown’s father Harry Lookofsky (a session violinist who ran a studio and became interested in the band’s sound) sold a piece composed by Brown called “Walk Away Renee” to Smash Records. It didn’t take long before the song became a hit, disseminating this creative new style to several of their contemporaries who observed this string-laden rock and tried it out for themselves. The song features a noticeable string section, harpsichord, and a flute solo (inspired by the Mamas and Papas “California Dreamin”). The music was inspirational, ethereal, melodic, but most importantly different and refreshing. It is pre-progressive rock and pre-psychedelic. And what’s so freaky is that the band members were teens. Now, 46 years after the song’s release, the Left Banke are back, and last weekend I was fortunate enough to see them reunite and play B.B. King’s Bar and Grill in New York City. I want to focus this post not on the history of this underappreciated band, but on the concert which featured a revitalized and excited Tom Finn, George Cameron, and, in place of Steve Caro, killer vocalist and guitar Mike Fornatale. 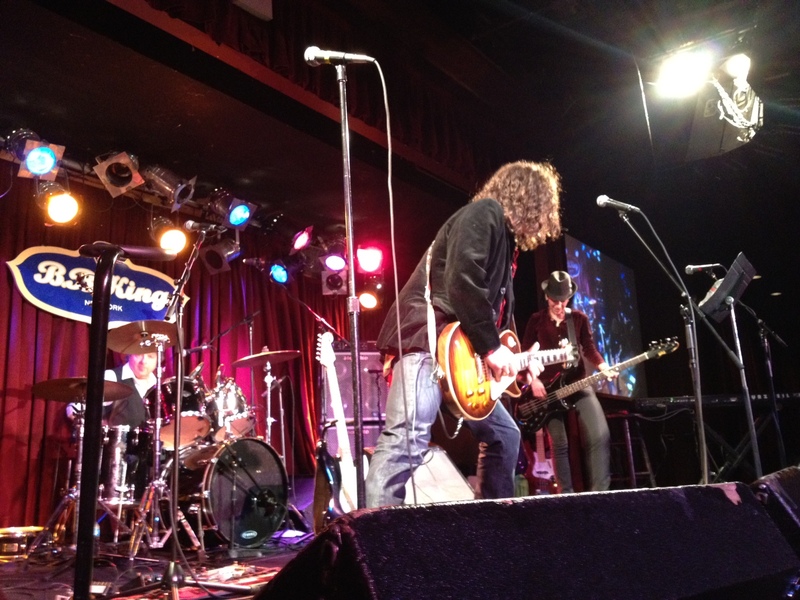 Current members also include Paul Alves – Guitar, Charly Cazalet – Bass, Mickey Finn – Keyboards, Rick Reil – Drums / Vocals. 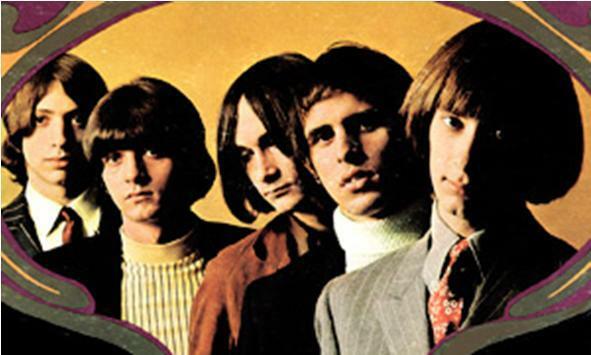 The Left Banke was joined by opening act Alan Merrill who too was a trend-setter. The Bronx-born son of jazz musicians became the first westerner to achieve pop star status in Japan. He actually tried out for the Left Banke in 1968 and while the audition was successful the band dissolved. He moved to Japan and tried to start a career there which faced some initial stumbling blocks but eventually became extremely successful and he was boosted into teen idol status. This was all before he co-wrote and released the first version of internationally recognized mega-hit “I Love Rock n’ Roll” which you all know to be by Joan Jett. His set was short but his three-person band (including himself) performed up-beat rock beats with Merrill soloing on his electric. And, as expected, at the sound of “I Love Rock n’ Roll” everyone perked up and started singing along because it is actually impossible not to sing that chorus. The Left Banke walked onto stage soon after. Well, actually all of them but one; Tom Finn was somewhere on the main floor. The band shared a great laugh with the crowd before Finn climbed on stage, plugged in, and assured the crowd that it got better. Finn looked at Cameron and the band, counted down, and they were off, performing track two on side one of their seminal album Walk Away Renee/Pretty Ballerina. “She May Call You Up Tonight,” a Brown and Caro composition, sparked immediate harmonies that showed no rust. The Left Banke concentrated on meticulously perfected harmonies and I’m sure they would have been disappointed if the melody was off, but, they were even more on than I thought they would have been. Fornatale’s excellent voice certainly helped, but I give Finn and Cameron credit for successfully jumping right into mid-60s form. If you closed your eyes (and ignored the difference in lead vocalist) you were transported back to youthful smiles and moptops. I’ve discussed “Pretty Ballerina” before on this blog. This has been a song that my father (who also attended the concert with my girlfriend and me) and I have talked about at length. There is something so eerie and depressing, but surreptitiously beautiful about this Brown composition. It is dream-like (understandably when you look at the lyric) and repetitive. It is that piano repetition that gets you. 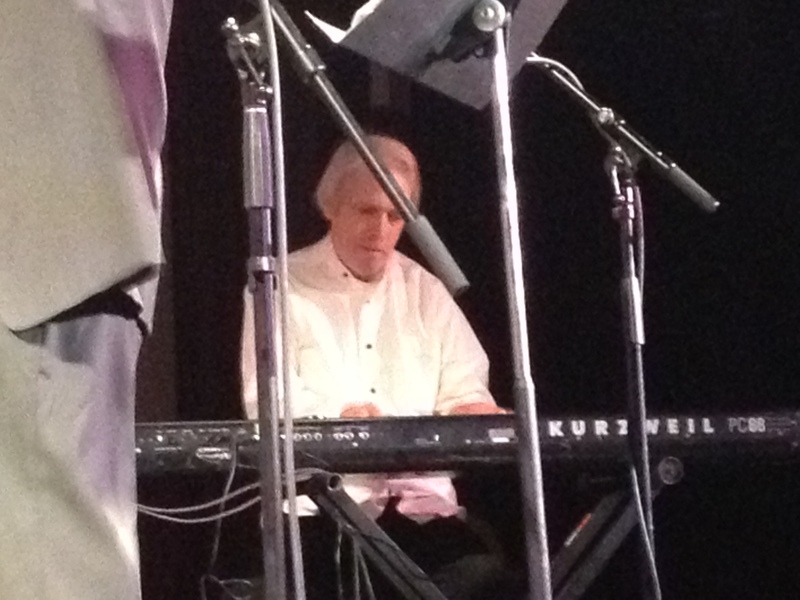 And wouldn’t you know it, the man himself, Michael Brown, joined The Left Banke to play his trademark keyboard riff. When he walked on stage he received a warm standing ovation from the crowd who more than appreciated his appearance and, he jumped right into the riff like never missed a beat. He never did miss a beat. I will say it now. I have said it many times. “Pretty Ballerina” was one of the most creative and influential songs written in the 1960s and it is a shame more do not know of it. Michael Brown doing what he does best. The Left Banke played 23 songs during the show and sampled from their first two albums and other catalog material. Songs like “Barterers and their Wives,” “Shadows Breaking Over My Head,” and the Finn-creation “Nice To See You” received some of the most applause. For one man sitting a few tables down for me, “Bryant Hotel,” sung by George Cameron, was the absolute highlight of his night. It’s a great song, but he was practically begging for it. The show also featured a talented two-person string section of violinist Lynn Bechtold and cellist Ben Larsen who provided the refreshing strings to most of the pieces. Like all good things, the concert did come to a close, but I learned a few things. First off, The Left Banke is creating new material and make sure to keep in tune with their Facebook for more information. You can also check out their website and a great fan page. Mainly, though, I learned that the Left Banke should be higher regarded in 60’s music history books. Despite the band’s limited releases, their influence on several baroque pop bands that came into popularity in the early 70s cannot be overstated. They grandfathered that movement and were a gigantic influence on progressive rock. Really enjoying your concert reviews. Thanks for turning me on to Left Bank! So glad to hear it. Thanks for reading! I sat at the table where the gentleman you mention in your article shouted out Bryant Hotel. His name was Jim and I did not know him before the concert. He said he went to Woodstock and also to The Fillmore East to see shows and he is a regular at BB King’s. It was a good night for great music!! Thanks for the set list. That is quite the concert resume. Must of been an interesting person to sit next to. Was a fun show. Thanks for the comment! Thanks for the article! Seeing them in DC/Rockville Sat. Night, and looks like they just might be able to meet my high expectations. I sure hope they do! 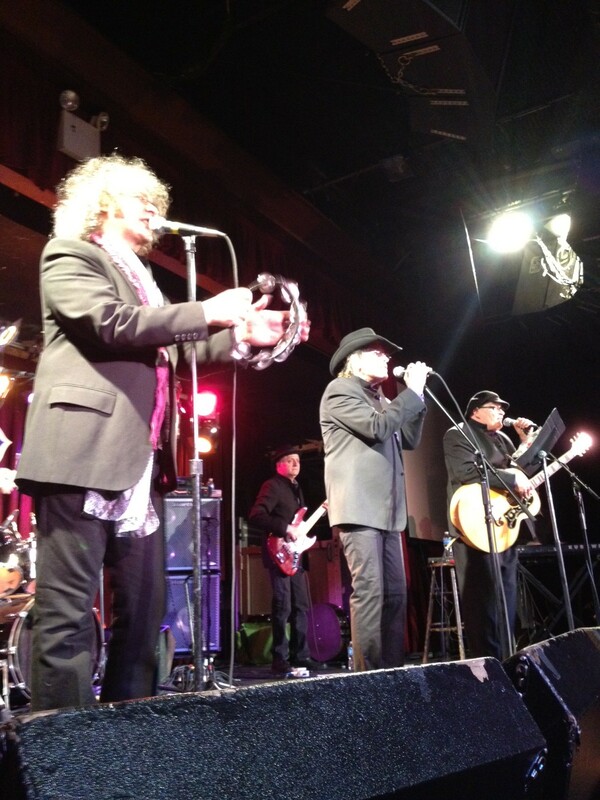 It was an exciting, upbeat show, and I was impressed with the hospitality of the band. You felt like one of the crew. The intimacy of the venue helped that as well. Have a great time and thanks for the comment. Thanks! Did the setlist disappear from this post? you will. The hair is cut such a way that the top of the hair appears like a flat surface.